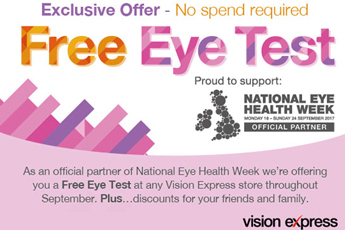 In recognition of National Eye Health Week, Vision Express are offering Blue Light Card members the opportunity to go and have a free eye test throughout September. Vision Express is an official partner of National Eye Health Week which promotes the importance of eye health and the need for regular sight tests for all. There is no spend required by members to claim this offer. Just visit the Vision Express offer when you log in to the website and then book in to receive a free eye test when registering. This offer is only available throughout September 2017. 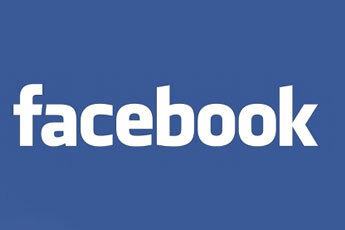 If you are on Facebook why not like the Blue Light Card page and help us to spread the word. You will join over 150,000 others in seeing the latest Blue Light Card updates and offers. Already like our page? Why not send to others that qualify to help spread the message of Blue Light Card and help others save. 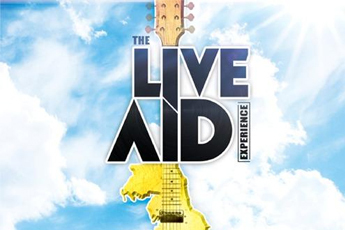 LIVE Aid Experience, a concert paying tribute to the historic benefit in 1985, is offering free tickets to its Trowbridge performance for people who work in the health, fire or police services or the military. The production will be on Friday, August 18, from 7.30pm at Trowbridge Civic Centre. Tickets cost £18 or services personnel can get two for free by producing their Blue Light Card at the box office. The Live Aid Experience will be performed by a live band paying homage to the classic acts who played in the original event 32 years ago, including Elton John, Status Quo, David Bowie and Queen. 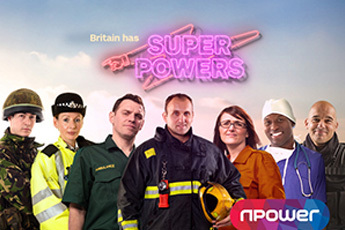 npower has launched its ‘Everyday Heroes Fix’, a new tariff exclusively for employees of the emergency services, NHS and Armed Forces, who hold either Blue Light Card or Defence Discount Service memberships. The tariff is on average npower’s most competitive deal* and fixes energy prices until December 2018, offering these everyday heroes a great deal on their energy and protects them from price rises until the end of next year. “Our new Everyday Heroes Fix is a first-of-its-kind tariff which has been created to give our best price to the nation’s unsung heroes. We wanted to come up with a great product for military personnel, law enforcement officers, firefighters, ministry of defence and healthcare providers to recognise their special contributions to our community. *Our cheapest energy deal: Compares Everyday Heroes Fix December 2018 with all our other currently available tariffs. Based on a standard single rate meter customer with a typical annual average electricity consumption of 3,100kWh and/or gas consumption of 12,500 kWh. Costs are averaged across mainland UK and include VAT at the reduced rate of 5%. Actual comparison/annual cost will vary according to the number of fuels taken, the applicability of discounts and by region, consumption and meter type and charges could be higher than our Standard charges. Correct as of 10/07/17. Drayton Manor Park is proud to support our Front Line Emergency Services for their continued bravery and commitment to helping keep us all safe. Any Front Line Emergency Service personnel, with a valid ID card, can gain FREE ENTRY to Drayton Manor Park throughout the 2017 main season until Friday 27th October including Magical Christmas 2017. 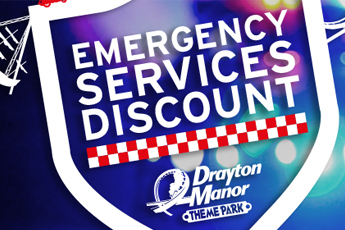 The holder of the Blue Light Card who work within the frontline Police Force, Ambulance Services and Fire & Rescue receive free entry to Drayton Manor Park and then a discounted rate is offered for their family and friends, employee ID card must be shown. Employees of the NHS with the Blue Light Card can receive the Blue Light Card discounted entry to the park for them and their family and friends without the free entry. For more information, please visit www.bluelightcard.co.uk.